The Churches of LaPorte are pleased to announce their annual “Sharefest”! Sharefest will start on Saturday May 3rd at 8am. Volunteers will gather on the steps of the LaPorte City Hall for a brief opening orientation and prayer. At 8:30am, we will release our volunteers to serve the city. 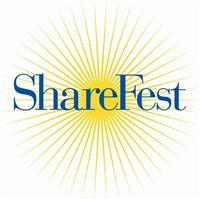 Sharefest is a “day of sharing” by the churches of the community along with any other groups that want to join us. We will be serving a variety of projects all across the city. Projects will also be done during the week following. We are in the midst of determining projects and would welcome any suggestions or ideas from the community. 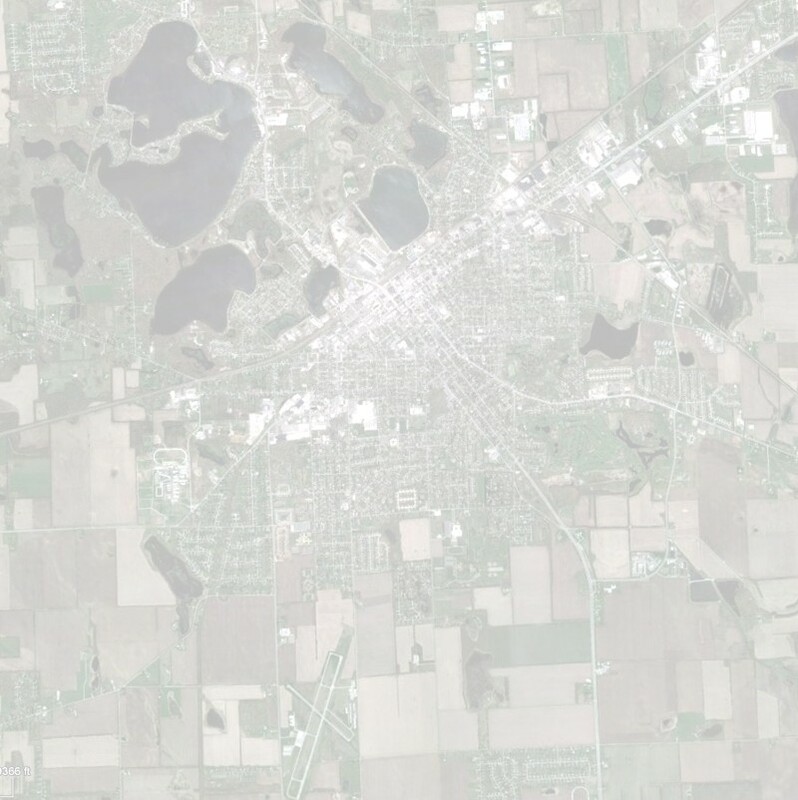 If you have a project that can be done by volunteers that morning or sometime during the week, please contact Mike Sutton at 219-510-3193. Suggested projects are cleaning, painting or yard work. Projects need to be funded by the homeowner and we will provide the volunteers. We will consider your project and seek to put some volunteers at that project that day or during the following week. Sharefest 2014 is the fourth annual “Day of Sharing” by the LaPorte churches. Our desire to come together in the name of Christ and make a difference in our community. Come join us! The First Annual Golf Fundraiser (four person scrample) will occur on Thursday June 5, 2014 at the Beechwood Golf Course, LaPorte, IN. Includes: 18-holes of golf, riding cart, lunch, chance to win some cool prizes, and a fun way to invest in the betterment of our community. In addition to playing golf, please consider having your church or business sponsor a hole for $100. 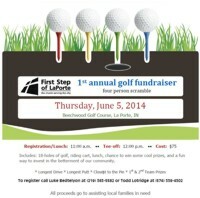 Each hole will include the sponsers name thanking them for supporting First Step of LaPorte.